When you’re marketing in the digital world, there are many ways that you can improve your results. One of the most important methods is to pay attention to SEO metrics. 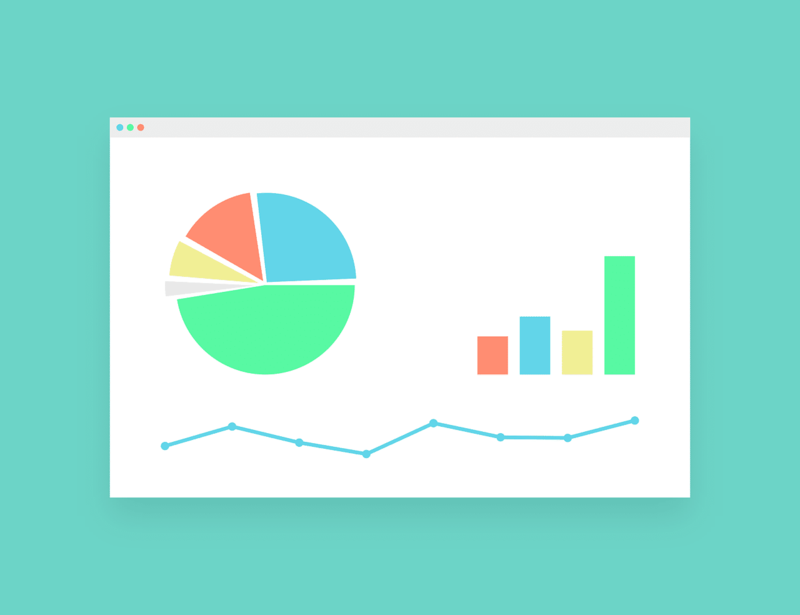 The good news is that there are many tools out there that help you do this with easy-to-read reports, so you will be able to check those metrics even if you aren’t well-versed in programming. Two of the best utilities out there right now are Google Search Console and Google Analytics. These are offered for free, and most of the metrics you need to focus on can be found in either one of these tools. While these tools are great, there’s a lot of information packed in there and it can be easy to get overwhelmed. Below, Virtual Market Advantage will look at the top 7 most important SEO metrics you should track for your business, so you can focus your energy and not get too distracted. This is defined as the traffic you earn from appearing in the search engine results page without paying for top placement. Organic traffic is the foundation of SEO, and you want your site to rank for keywords that are related to your niche (and that people actually use when searching). It’s important that you track your overall organic traffic, so you can see how many people are visiting your site as a result of your SEO campaign. While looking at your organic traffic, you also want to look at the traffic that gets directed to your landing pages. This will help you determine where you need improvement. A landing page is the page of your website that a person sees when they click on a hyperlink from another place on the Internet. This is typically your home page, but you can have more than one. It’s also important to track where your traffic comes from. Remember to track this by country, so you can see if you need to focus a campaign into foreign markets. The bounce rate is what tells you how many people 'bounced' away from your site after only viewing one page. It’s measured as a percentage of visitors, and you will want this to be a lower number. If you look at the bounce rate and see a high percentage, this could mean that you need to do some on-site work to help keep people around. While you’re doing this, it’s also a good idea to check the bounce rate from your landing pages. This way you can see which landing page tends to turn away visitors and which one keeps them on your site longer. You want to remember that having organic traffic only means that you got visitors to your site. It does not mean that you’ve actually made a sale. This is why you also need to measure the conversion rate of visitors to your site as well. The conversion rate is how many people who visit your site actually do what you want them to do while they're there, such as make a purchase, contact your company, or sign up for a newsletter. First, you’ll want to check your aggregate conversion rate for organic traffic. This will give you an idea of how well you’re appealing overall to people who arrive at your site from the search results. Then you’ll want to look into various segments to see which factors are impacting the conversion rates on your site. Again, check the conversion from the landing page as well. Ideally, conversions will be won on this initial page itself. If you find that one landing page has a much higher conversion rate, this could mean that the other one doesn’t have as effective a marketing message. If you track organic conversion by location, you can also find that your message appeals to people in a certain geographic area. If you do find that your marketing works well in one or more locations, you may consider pushing more marketing into those specific regions. An exit page is the last page that a person visits before leaving your site. It’s important that you track these top exit pages. Looking into this will help you identify which pages need the most work. These are the pages that ultimately cause people to lose interest in your site and venture to another site. You want to see what you can do to improve your exit pages so that visitors hang around for a little longer next time. Google is the most popular of the search engines, but some of your customers may actually be using Bing or other search engines as well. This is why you want to examine your organic traffic breakdown between the different options. If you find that you’re not pulling in the expected traffic you think you should be from one search engine or another, you will probably want to update your SEO strategy. There are several keyword-tracking tools available to help you determine the total number of keywords that your site ranks in Google. Once you know which keywords your site is ranking for, there are several ways you can use this data to inform your SEO strategy. It’s a good idea to capitalize on your existing success. If you see that your site ranks in the top 10 from some high-converting keywords, then keep using those in your content marketing to ensure that you stay there. Your top keywords are likely bringing you the most traffic, so you want to make sure the landing pages that are associated with those keywords are relevant to keep your bounce rate low. Another great method to use is to try and find highly-searched keywords in your field that aren't being utilized by other companies. This is tricky to accomplish, but if you can get in on some important keywords before anyone else, you'll see fast results. If you have a business that has one or more physical locations that local customers can visit directly, it’s important that you keep track of your local visibility. You want to make sure that your site is appearing in the local searches for words that are related to your niche. Do you appear when people type the name of your town or city along with the name of your industry or related keywords? If not, then you'll want to work on creating or improving your local SEO. While there are many more areas to look at, these are just some of the most important SEO metrics that can help you as you get started with your campaign and improve your results. Organic traffic takes time, but if you look into the right SEO metrics, you can have a successful campaign up and running in no time! While you’re working on improving your SEO campaign, it’s good to remember how important being trustworthy is in modern online marketing. Learn how to become more trustworthy as a marketer here!